1 - 3 $18.95 ea. 4 - 6 $16.95 ea. 7 - 12 $16.45 ea. VisiVite® AREDS Lutein+ Formula starts with the antioxidant vitamin and mineral supplement used in AREDS, the ground-breaking 10-year, independent study conducted by the National Eye Institute (NEI) of the National Institutes of Health. VisiVite® AREDS Lutein+ Formula removes beta-carotene and substitutes 10 milligrams of Lutein, a carotenoid pigment that supports healthy retinal function. 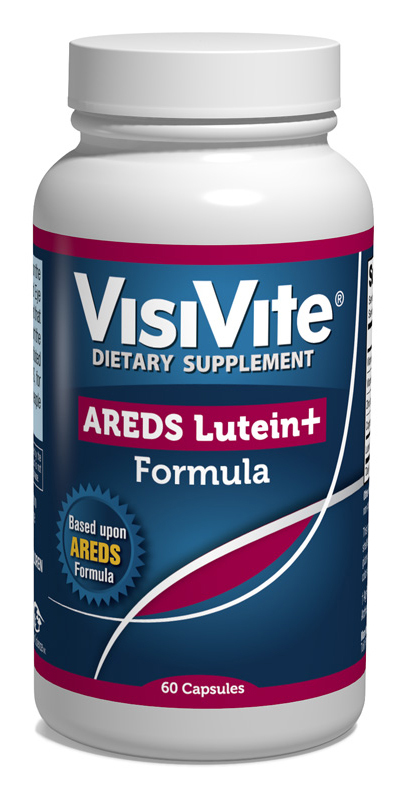 VisiVite® AREDS Lutein+ Formula is an antioxidant supplement with select vitamin and mineral levels.